My sister MK called me after the Super Bowl to tell me that these were the best burgers she's ever eaten. That means a heckuva lot coming from MK, since she used to eat just about a burger a day all through high school. Thanks for your testimonial, MK. Oh, hooray-it's Friday! It's so easy to be cheerful on Fridays, with all of the breezy, wide-open potential for the weekend. I'm feeling especially jocular (love that word) today because I've got a brand new novel from one of my favorite authors waiting for me. My sister Leslie was kind enough to send me a copy, since I was fourth in line on the waiting list at the library. 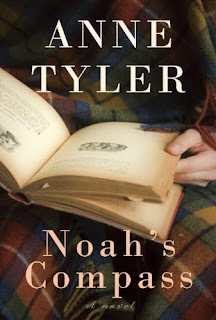 Do you read Anne Tyler? I don't read-I swallow. Then I reread deliberately and chew slowly in tiny, purposeful nibbles. And besides a superbly written (no doubt with Anne Tyler), crisp, new novel waiting for me, this weekend promises other enticements. The Super Bowl! Not the game itself, but the fun and yummy foods that taste like victory. I've got a burger to share that's sure to score a taste-bud touchdown. Here's what you do: Get out your cast iron skillet and fry up some bacon. (A well seasoned skillet gives the food a deeper, more complex flavor-but a frying pan will work just as well, if it's all you've got.) Leave behind a slick of smoky grease and cook up your burgers, then smother them with a scattering of smoky orange onions. Those onions! Sweet, smoky, and tart-you could eat them right out of the pan, but they'll make your burger bliss. A game, a book, a burger, a Friday. What could be better? You can use the cheaper selections of ground beef here, as long as you buy it fresh. Don't freeze it before using for the best burger. Look for meat that is cheery red in color, with no signs of graying. Just a couple of slices of bacon are needed to impart the smoky flavor to the burger. In a cast iron skillet, fry bacon until crisp. Remove to paper towel to drain. Discard all but 1 tablespoon bacon fat. Meanwhile, in a large bowl, combine beef, garlic salt, pepper and worcestershire sauce. Form four patties. Fry patties in same skillet with bacon grease. Cook until no longer pink in center, about 5 minutes per side. Add cheese slices to patties for final minutes of cooking. While burgers cook, in a separate pan, cook onions over high heat in oil, until softened and beginning to brown in places. Add orange juice, brown sugar, vinegar, and liquid smoke. Cook until thick and syruppy, about 3 minutes. Season to taste with salt and pepper. Remove from heat. To assemble, place spinach, tomato, burger, bacon and onions on buns. You know what to do! Make a pile of these, if you've got time. Don't forget to keep voting for West. We're down to the wire here. I just finished reading Pioneer Woman Cooks and then bought my first cast iron skillet this week. After just christening the pan cooking a batch of ground beef for a pasta dish, I logged in and read your post! Perfect timing! Great Googly Moogly that looks delicious. I laughed that even your reading sounds like eating. Nourishment for the mind, I suppose, or at least dessert. The main character is Liam Pennywell so I was certain Prudence Pennywise would appreciate him. There is even a character named Eunice. And another named Verity, which was another one of Anne Tyler's interesting names. I know you'll love it and I can't wait to discuss it with you. I just finished the book Drive by Daniel H. Pink who also wrote a Whole New Mind. They were both very good. Your cheeseburgers also look very good. I need to buy a cast iron skillet. 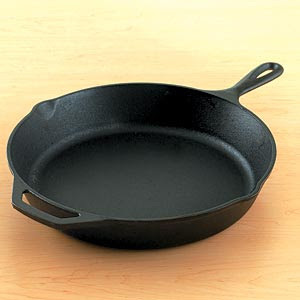 I should probably just go ahead and eat the skillet since my iron is so ridiculously low. After all those infusions I'm down to zero, which is such a joke. Before the infusions I was at least at a 1. Anyway, read away and call me when you finish. I loooove Anne Tyler! I didn't know she had a new one. TGIF!!!! Soooo thankful it is Friday!!! SO...you won my first giveaway....YAY!!! So excited to send the little signs to you!! I am going to see if I can email you...and get your address!! Thank you for participating!! Woohoo, Kristin! One more reason to love today. I'm thrilled-but I'm also out the door for a dinosaur museum fieldtrip with the charges. I'll email you post haste when I get home. I love love loved Noah's Compass. Isn't Leslie nice to share? =D I can't wait to discuss NC with everyone. I feel like I'm getting better at picking up on Tyler's symbolism but I'm sure I'm still missing some, so I cant wait to discuss with you and Les. Those onions look so delicious! I don't have a cast iron skillet, but Valentne's Day is getting pretty close. =D I'm on my way to vote for Westy now! Okay, I have never read anything Anne Tyler. I feel so out of the loop. Please tell me they are not vampire books though. If so, I don't mind staying out of the loop. That last vampire craze was not my thing. No vampires or mythical creatures, whatsoever! Just regular human beings, beautifully flawed and charmingly imperfect. Anne Tyler won the Pulitzer Prize for Breathing Lessons, so that's a great one to start with. I also love Accidental Tourist and Patchwork Planet. I could go on, but I'll stop there for now. Thanks anonymous! Usually my anonymous commenters take a little jab, or maybe it's just good natured ribbing. It's nice to get an anonymous comment with a clear cut compliment! Wow, wow, and wow. I love orange beef and never thought of adding that flavor to a burger..wow! Well, spent 15 minutes in the basement looking for my rusty cast iron skillet - and still couldn't find it...but was CRAVING this burger. So, George Foreman (without the bacon grease) came to the rescue for a modified version - all else the same - FANTASTIC! A real winner, full of flavor and flair. I'm craving another for later in the week as I still have those yummy onions leftover. Hardest part of this recipe was figuring out where to purchase liquid smoke - a first for me! Thanks SO MUCH! I'm off to vote for Mr. West! Great idea for the George Foreman! So glad you liked the burgers and the onions. wow, prudy, as usual you made me want to eat this immediately. can't wait to try this recipe out. and i've never read anne tyler, but i'm ready to start. glad you already told julie where to start. Burger looks great (as does everything you make). The book was so great, wasn't it? Discussing it with you while running outdoors on a chilly Saturday morning made it even better. Now I'm on the hunt for a good Phd program. :) But you will have to remind me of all the insights we discovered while running when it comes time to write that dissertation. Leslie, we all owe you for keeping us all well-read. Those burgers look fantastic. Voted again. Good luck. I haven't read Anne Tyler, but I really like Anne Perry. Victorian mysteries for the win! Just have to tell you that we made those chicken tacos this weekend and they were so, so yummy I've been telling everybody. This is up next. Thanks so much! Easily I agree but I about the brief should acquire more info then it has. 'Smoky' Orange onions? Interesting. The photo of this burger makes me want it. Right now. I shall be sure to give this a go once I've re-seasoned my skillet... Bloody white wine. Hi, I do think this is an excellent web site. I stumbledupon it ;) I'm going to revisit yet again since i have saved as a favorite it. Money and freedom is the best way to change, may you be rich and continue to help others.